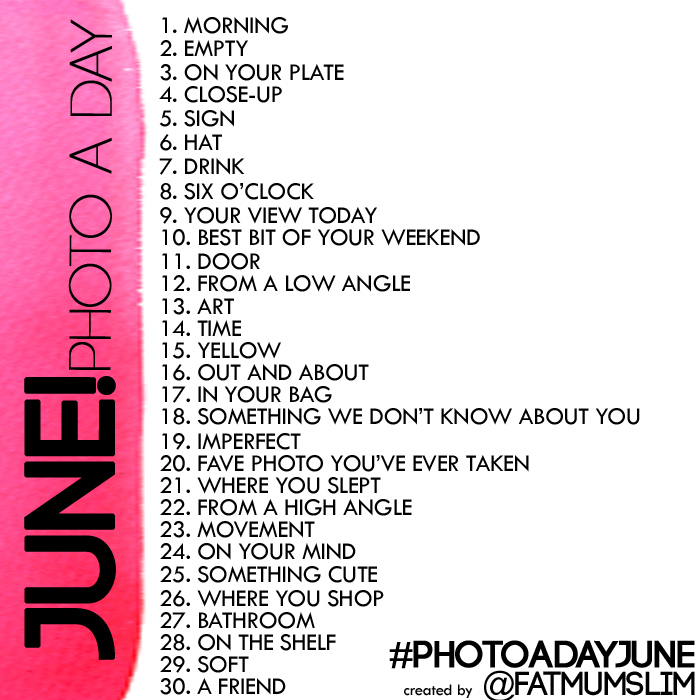 I’ve decided to be part of the Photo a day challenge list created by Fat mum slim, an Australian blogger. You can read more in detail about the challenge here, but the basic idea is take a daily photo according to the instructions of the day and share them on twitter, Facebook, your blog etc. As I got a new camera two days ago I thought it was a perfect timing to start with this right now when the new list for June has been published. I’m having some issues with my new camera though… the battery don’t seem to work properly and I’m having problems setting up my eye-fi card but when all of that is sorted out and I actually have used my camera a little bit I will post about it here. The camera I bought is a Nikon Coolpix S9300. I’ll will have a little mix of iPhone and Nikon pictures in the challenge though. The camera is quite small but I won’t bring it with me all the time. The size of the camera is perfect for me as I found my SLR camera (Nikon D70s) too heavy for my hands to use most of the time nowadays (due to my RA) which is why I haven’t used any other camera than my iPhone for the past 3 years. Obviously this won’t have as many settings as the SLR camera but I think it’s more important that I actually get out and take pictures with a real camera so this will have to do. If I ever feel a need of using a SLR camera when we are out-and-about I can always (try to) borrow my husband’s Nikon D300. 🙂 So stay tuned for the upcoming evaluation of the Nikon Coolpix S9300!